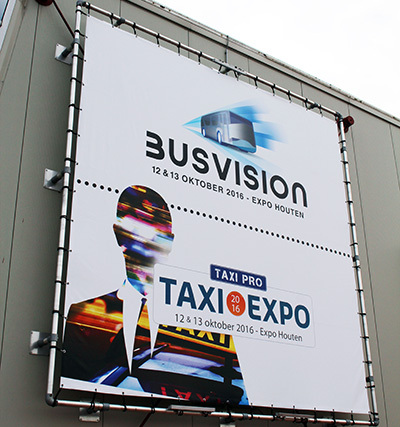 On october 12 and 13 2016 the annual taxi fair was held in Houten, Netherlands (near Utrecht). It was combined with Busvision, a symposium and display of innovation in the bus sector. On display was a number of small (taxi buses) and several electric and hybrid buses. 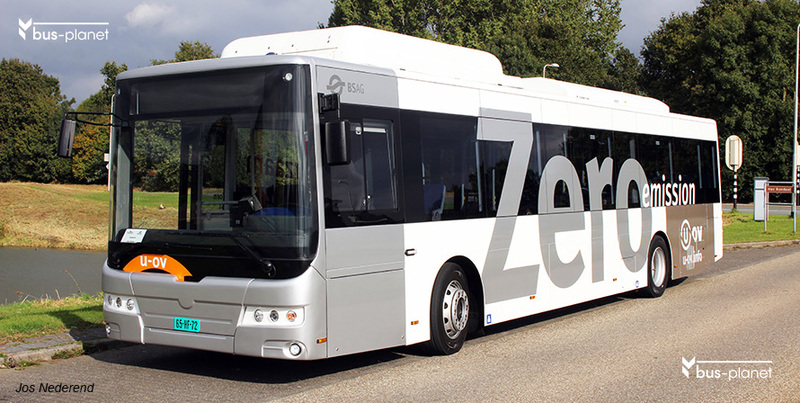 There were five large buses: a Volvo hybrid-electric for Sales-Lentz in Luxemburg, a BYD demonstration vehicle, an EBUSCO 2.0 vehicle, of which Utrecht will get ten beginning of 2017, a Finnish Linkker for Helsinki and a small VDL Midbasic E-Worker based on a Mercedes-Benz Sprinter. Other small vehicles were: a Mercedes-Benz Sprinter City 35, a FIAT Ducato CNG vehicle (already dating from 2012), a Mercedes Sprinter “Neighborhood bus” (Buurtbus) for Connexxion, adapted by Tribus as the Civitas Economy, and a Tribus New Civitas, also on Mercedes Sprinter basis. Finally there was an old Bristol Lodekka double-decker of a company called “Recruit a Student”, providing services for the employment of temporary personnel, but in this case the bus was not the subject. Of course there were more vehicles on display for the taxi market.